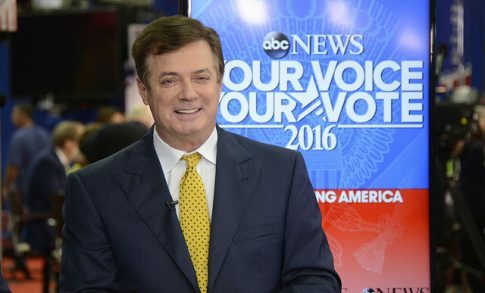 Paul Manafort, Donald Trump’s second 2016 election campaign manager, pleaded guilty to two federal charges in September 2018. Manafort had been convicted of eight bank fraud and tax evasion charges in another trial only last month. The former campaign manager pleaded guilty to two additional charges of “Conspiracy against the United States” and “Conspiracy to Obstruct Justice”. The charge for Conspiracy against the United States included a decade of tax evasion and failure to register as a foreign agent. The charge for Conspiracy to Obstruct Justice was for witness tampering. As part of the agreement, Manafort agreed to forfeit $46 million in assets, including three bank accounts, four houses, a life insurance policy, and his condominium in Trump Tower. The Special Counsel’s Superseding Criminal Information demand didn’t include Manafort’s Trump Tower apartment. Amusingly, it appears Manafort offered Mueller an apartment in Trump Tower as a bonus. The properties alone would sell for almost $20 million. The condo in Trump Tower, #43G, is currently worth $3 million. The Brooklyn property could be sold for about $4 million, the Howard Street property is appraised at about $3.2 million, and the Arlington house is worth about $1.7 million. The Hamptons house includes a tennis court and a golf course, putting it at $7.3 million. With Manafort’s surrender of his assets, the Special Counsel’s office is now a profitable venture for the federal government. The Special Counsel has spent $30 million to date, but not all the expenses incurred are attributable to the investigation. Mueller’s team includes several high ranking DOJ attorneys, who would have been paid regardless of whether they were investigating Russia collusion or another assignment. Manafort’s forfeiture means that Mueller has paid back the federal government in full and with $16 million in interest. Per federal law, the assets will be sold and the money used to pay for other federal administrative expenses. Civil asset forfeiture is the process where a government seizes assets that were connected to a crime. The intent behind asset forfeiture is that the government should not allow criminal defendants to profit from their misdeeds. If people know that they cannot profit from committing a crime, they may be less willing to commit crimes. Some savvy criminals may attempt to hide their ill-gotten gains by converting them into other assets. Forfeiture anticipates this and allows the government to seize assets that could be traced to the original funds that were illegally obtained. For instance, a bank robber could use the money he stole to buy a new car. Asset forfeiture would allow the government to seize the car and sell it to recover the money that the robber stole. Notably, civil asset forfeiture is a civil penalty, not a criminal one. The government sues the property directly rather than the property owner. Civil asset forfeiture has produced strange and amusingly case names, such as United States v. Article Consisting of 50,000 Cardboard Boxes More or Less, Each Containing One Pair of Clacker Balls and United States v. 2,507 Live Canary Winged Parakeets. Yes, those are real cases. The distinction between civil and criminal is important because civil asset forfeiture is pardon-proof. The President could pardon Paul Manafort tomorrow, but Manafort wouldn’t get a dime back. Should Asset Forfeiture Be Legal? Asset forfeiture has been controversial for years prior to Manafort’s case. Critics argued that forfeiture has been abused so that it resembles the very criminal enterprises law enforcement claim they need forfeiture to prevent. People have lost vehicles, real estate, and cash to asset forfeiture that the government had no authority to seize. Since civil asset forfeiture is not a criminal law procedure, the same protections often do not apply. Instead of requiring the prosecution to prove their case beyond a reasonable doubt, asset forfeiture only requires a “preponderance of the evidence” that the property in question was illegally obtained. Another issue is that assets are often seized before trial, thereby undermining the concept of innocent until proven guilty. To add insult to injury, many police departments directly profited from asset forfeiture. Police would take property from people prosecutors couldn’t prove were guilty and used the money obtained to buy everything from new police cars to slush machines. Abuse of asset forfeiture is a very real problem that erodes our constitutional protections, but Paul Manafort’s asset forfeiture is not one such case of abuse. Manafort’s assets were not seized until after he had been found convicted of bank fraud and tax evasion, and pleaded guilty to criminal conspiracies. He has also been represented by attorneys of his choice since he was indicted last year. As explained earlier, the money Manafort has surrendered will not be used to pay the Special Counsel, but given back to the federal government. This procedure stands in sharp contrast to dirty prosecutors who use asset forfeiture to steal property from people they couldn’t otherwise convict of a crime. Robert Mueller has not only followed the letter of the law, but respected the original purpose of asset forfeiture: to keep convicted criminals from profiting on their crimes. If all prosecutors followed Mueller’s example, asset forfeiture would not have become the corrupt institution it stands as today.